KEEPING SCORE: France’s CAC 40 was up 0.3 percent at 5,344, while Germany’ DAX rose 0.3 percent to 12,089. Britain’s FTSE 100 also gained 0.3 percent, to 7,304. U.S. shares were also set to move higher, with Dow and S&P 500 futures both up 0.2 percent. 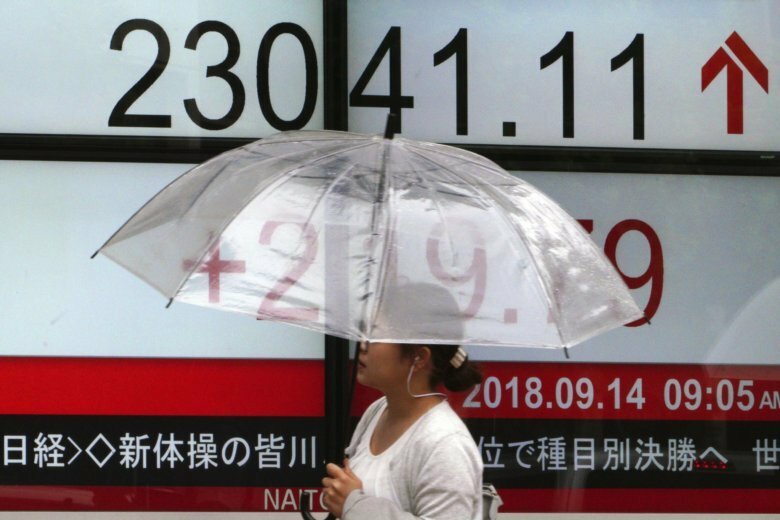 ASIA’S DAY: Japan’s benchmark Nikkei 225 gained 1.2 percent to finish at 23,094.67. Australia’s S&P/ASX 200 was up 0.6 percent at 6,165.30. South Korea’s Kospi added 1.4 percent to 2,318.25. Hong Kong’s Hang Seng rose 1.0 percent to 27,286.41, while the Shanghai Composite index lost 0.2 percent to 2,681.64.